A long-time HAWG collaborator, Professor Mark Schuller has written many times about NGOs and disaster response. He offers an important list of “lessons learned” from past recovery operations and how we must be cautious to not keep reinforcing the same cycle. 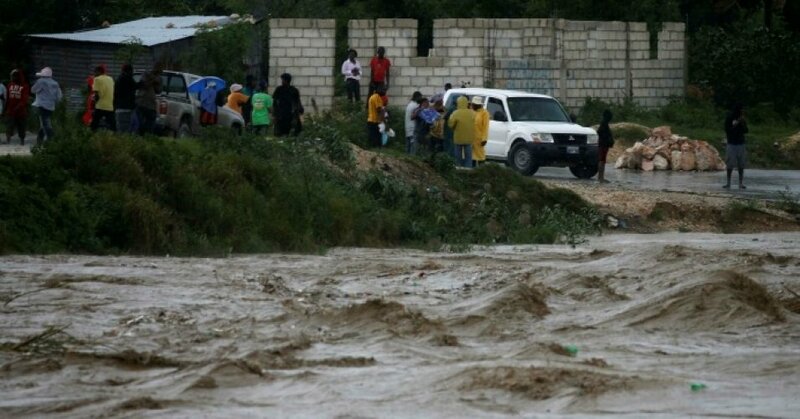 People watch as river waters roll through Port-au-Prince on Oct.